This term our learning has revolved around volcanoes. During our weekly design and technology lessons the children created their very own volcanoes and on Thursday we were able to make them erupt! For our ‘Marvellous Middle’ the class designed and created their own Iron Man Magnet out of clay. Unfortunately whilst some of the pieces were drying parts of the clay did fall off, however the children pointed out to the teachers that “it’s just like when the Iron Man falls off of the cliff at the beginning of the story and ends up scattered across the beach,” which certainly put a smile on our faces! We had a lot of fun playing the maths games that were created as part of the half term homework project! They were fantastic! To finish off our unit of work on the ‘Stone Age’ we visited Samphire Hoe for a ‘Stone Age Day’. Despite it being very cold, Viking Class had a brilliant day! In the morning we were introduced to the rangers and explored the site thinking about how we would survive. Where could we create shelter? What could we eat and drink? In the afternoon we created our own cave paintings. Throughout the day we were able to look at various artefacts and apply and share what we knew about the Stone Age. We all enjoyed a fantastic day! On Monday 11th December Viking Class performed their own version of ‘A Christmas Carol’ by Charles Dickens. They worked so hard in the lead up to the performance in rehearsals and were so enthusiastic about the play. Both the afternoon and evening performances were well received with the children putting on a great show! Viking Class had a lot of fun last Thursday (23rd November) making lemon and orange creams for the class stall to sell at the Christmas Fair! They were very yummy! 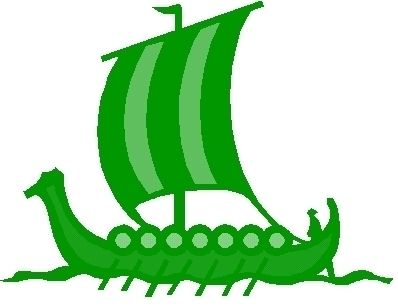 On Friday 20th October Viking Class had an extremely fun filled day finishing our ‘Shine a Light’ themed learning. The final text we were looking at by Anthony Browne was ‘Hansel and Gretel’. Having finished our focus of writing in role, we spent the last week of term looking at some aspects of poetry, placing a strong focus on rhyming couplets and performance poetry. 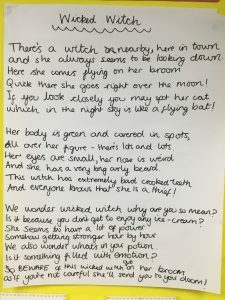 We created our own class poem all about the witch in the story and were then lucky enough to perform it to both Smugglers and Windmills (both classes made a fantastic audience). Following on from this, we made our very own cupcakes inspired by the sweet treat house that the witch in the story lived in. They were a very yummy treat! On Tuesday 3rd October Viking Class went on an adventure in College Woods and the Secret Garden. This was our ‘Marvellous Middle’ for our ‘Shine a Light’ topic. It was a muddy walk through the woods and round to an open clearing where something had been hidden for us to find! In an old tyre, under some rope, we found the book ‘Into the Forest’ by Anthony Browne (our next focus book in Literacy). We all sat round on some logs and shared the story together for the first time. It was a lovely afternoon and the children were really engrossed in the story and loved the surroundings we were sharing it in.